A major part of North Harbour’s vision for our unique master planned development is our commitment to creating a sustainable living environment, providing lifestyle opportunities which both enhance and incorporate our natural environment. 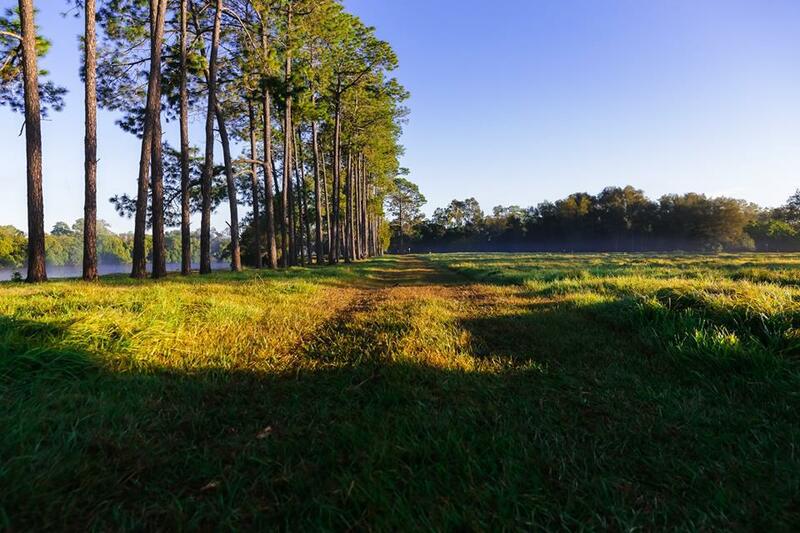 Our proposed 1000 acres of open space and parkland is a vast space (larger than Central Park in New York) including areas which will be open to the community and protected in perpetuity. Each home at North Harbour is no further than 325 metres from part of this 1000 acres of open space and parkland, affording our residents a convenient lifestyle whilst still being able to remain connected to nature and the great outdoors. In fact, almost half the entire North Harbour site will be open, green space and parkland. It is a testament to our planning and design teams bringing this vision to life, that North Harbour has achieved a highly sought-after EnviroDevelopment accreditation. EnviroDevelopment is a scientifically based assessment scheme which independently reviews development projects and awards certification to those that achieve outstanding performance across four or more of the provided elements – Ecosystems, Waste, Energy, Materials, Water and Community. The original North Harbour site has had many incarnations prior to its present-day identity, and many of these uses caused the land to be cleared i.e. sugar plantation, farming and so on (read more about previous landowners at www.northharbourheritagepark.org ). North Harbour has 9km of river frontage to the Caboolture River, and it is proposed that this be open to the public and protected as a wildlife corridor. In order to do this we need to reforest and rehabilitate the area by planting native trees and shrubs to encourage the creation of wildlife habitat which can become sustainable. So far, we have planted 60,000 trees and by the end of the project will have planted hundreds of thousands more. As part of our community partnership initiatives, we have held several Tree Planting Days to allow our community to take part in reforesting an area along the Caboolture River. Local families have had the opportunity to plant some trees they’ll be able to come back and see for years to come. 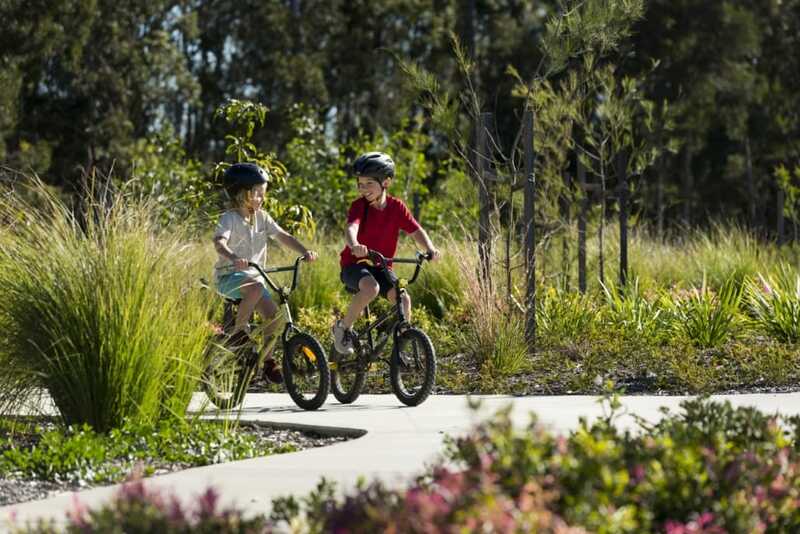 North Harbour’s commitment to creating a sustainable lifestyle community sets it apart from other, similar, developments in the Moreton Bay Region. A key difference that our residents can enjoy is the open space. We are turning approximately 1000 acres (almost half) of the site into publicly accessible open space – parks, playgrounds, sporting fields, walking and cycle trails. 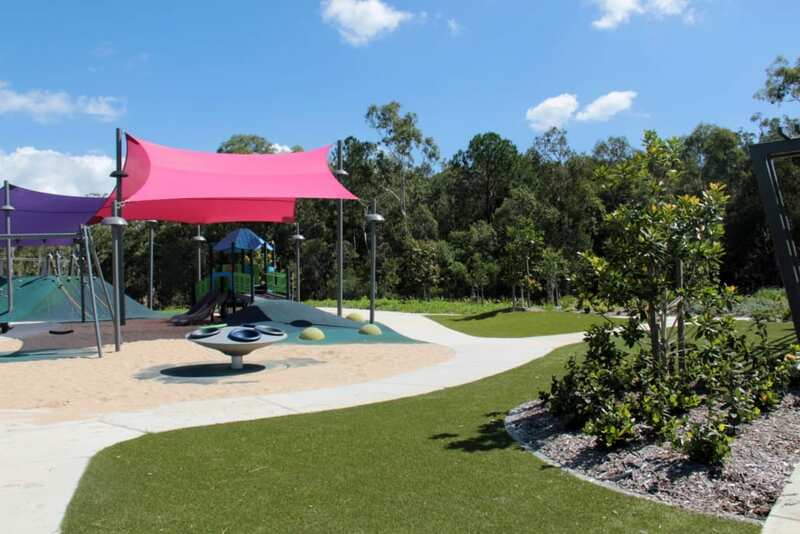 We have already delivered two great parks at The Village Park and Reflections Park, as well as open space and walking tracks and there are three more areas currently under construction that will be opened in 2019. We also have various fitness activities for people to enjoy – a weekly parkrun which is one of only three cross country parkruns in SEQ, we also have regular fitness bootcamp’s in our Village Park, and yoga at Reflections Park. There is much more to come, but there is already plenty of space for people to get outside and enjoy. North Harbour’s new Display Village is a must-visit for all house hunters. The Display Village has 33 brand new house designs on display, with the very latest interior stylings available to browse. What a great way to explore the latest and greatest from Australia’s best builders! Bold Properties, Burbank, Coral Homes, Hallmark Homes, Intergrale, GJ Gardner, Metricon, Pantha, Oracle, Orbit, Stylemaster, Valeco, Homes by CMA, Sunvista, McLachlan, OJ Pippin and Stroud. For more information on North Harbour’s Display Village including an interactive map visit www.northharbour.com.au. Like to visit us? North Harbour’s Sales and Information Centre & 33 Home Display Village with café and two playgrounds is open seven days a week, 10am-5pm. Located on the corner of Buckley Road and Fraser Drive, Burpengary East, the Display Village showcases 33 brand new home designs from 17 of Australia’s best builders. North Harbour is taking the new home market by storm, having recently won the UDIA Queensland Award for Best Residential Subdivision and is EnviroDevelopment Accredited. For more information on homes for sale at North Harbour, please contact us.